Wrap-Up Magazine: Will The Show ‘Leaving Neverland’ Be A Disgrace To Michael Jackson? Will The Show ‘Leaving Neverland’ Be A Disgrace To Michael Jackson? I hope this show HBO is about to premier don't bring tears to both me and my kids eyes. 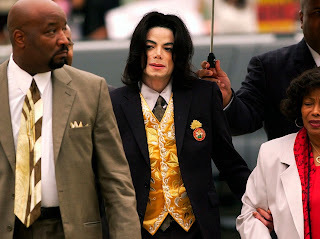 In the letter to HBO’s CEO Richard Plepler, the estate’s counsel deem Leaving Neverland “an admittedly one-sided, sensationalist program—referred to as a ‘documentary'” and defend Jackson against the accusations brought forth by the film’s two accusers, Wade Robson and James Safechuck. The letter states that, two years later, after the estate turned down Robson, a noted choreographer, for a Michael Jackson-themed Cirque de Soleil show, Robson came forward with his “fabricated” allegations against Jackson. The letter to HBO continued, “As for Safechuck, by his own admission, he did not ‘realize’ that he had been abused until after he saw Robson on the Today Show in May 2013 being interviewed by Matt Lauer about Robson’s newly-concocted story of abuse. All of a sudden, Safechuck realized that he had been abused."